SCANIA DEALER KELTRUCK’S fledgling used operation at Newark has a surprise secret weapon. When asked what is different about this set-up the salesman running it has a simple answer: “Me.” A live wire, Russell Barnes is only in his mid-30s, but he knows his stuff and how to get things done at “transport speed” – very quickly indeed. 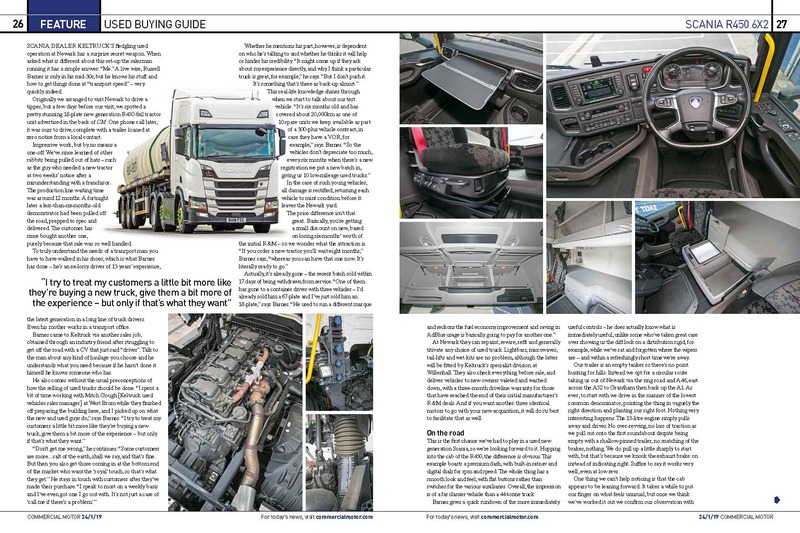 Originally we arranged to visit Newark to drive a tipper, but a few days before our visit, we spotted a pretty stunning 18-plate new generation R450 6×2 tractor unit advertised in the back of CM. One phone call later, it was ours to drive, complete with a trailer loaned at zero notice from a local contact. Impressive work, but by no means a one-off. We’ve since learned of other rabbits being pulled out of hats – such as the guy who needed a new tractor at two weeks’ notice after a misunderstanding with a franchisor. The production line waiting time was around 12 months. A fortnight later a less-than-six-months-old demonstrator had been pulled off the road, prepped to spec and delivered. The customer has since bought another one, purely because that sale was so well handled. 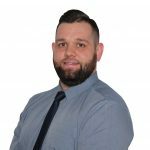 To truly understand the needs of a transport man you have to have walked in his shoes, which is what Barnes has done – he’s an ex-lorry driver of 13 years’ experience, the latest generation in a long line of truck drivers. Even his mother works in a transport office. 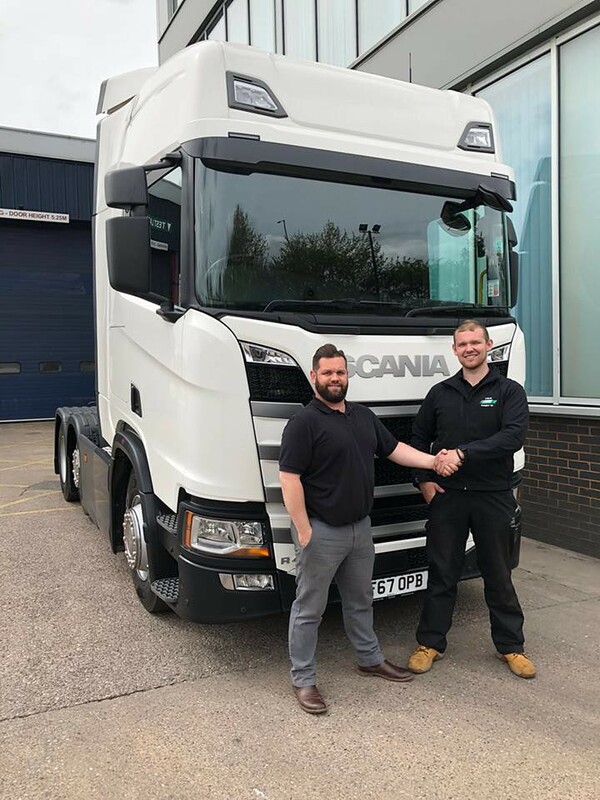 Barnes came to Keltruck via another sales job, obtained through an industry friend after struggling to get off the road with a CV that just said “driver”. Talk to the man about any kind of haulage you choose and he understands what you need because if he hasn’t done it himself he knows someone who has. In the case of such young vehicles, all damage is rectified, returning each vehicle to mint condition before it leaves the Newark yard. At Newark they can repaint, rewire, refit and generally titivate any choice of used truck. Lightbars, microwaves, tail-lifts and wet kits are no problem, although the latter will be fitted by Keltruck’s specialist division at Willenhall. They also check everything before sale, and deliver vehicles to new owners valeted and washed down, with a three-month driveline warranty for those that have reached the end of their initial manufacturer’s R&M deals. And if you want another three identical motors to go with your new acquisition, it will do its best to facilitate that as well. This is the first chance we’ve had to play in a used new generation Scania, so we’re looking forward to it. Hopping into the cab of the R450, the difference is obvious. This example boasts a premium dash, with built-in satnav and digital dials for rpm and speed. The whole thing has a smooth look and feel, with flat buttons rather than switches for the various auxiliaries. 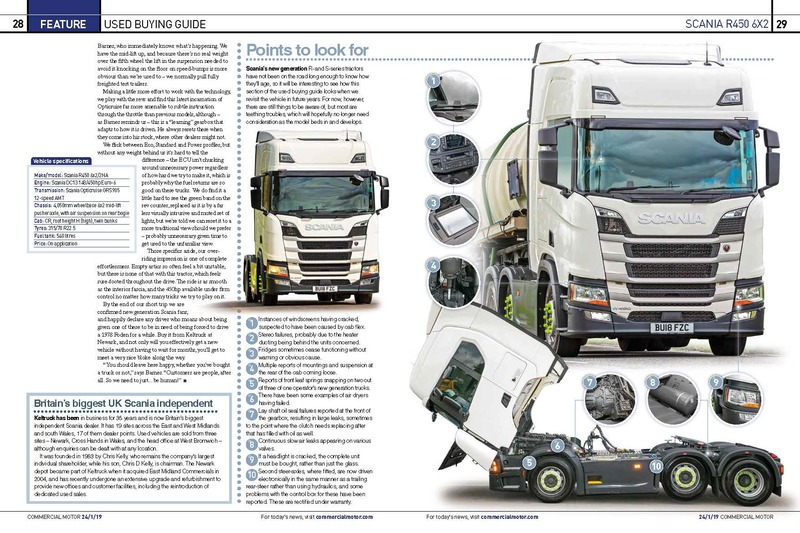 Overall, the impression is of a far classier vehicle than a 44-tonne truck. Barnes gives a quick rundown of the more immediately useful controls – he does actually know what is immediately useful, unlike some who’ve taken great care over showing us the diff lock on a distribution rigid, for example, while we’ve sat and forgotten where the wipers are – and within a refreshingly short time we’re away. Our trailer is an empty tanker so there’s no point hunting for hills. Instead we opt for a circular route taking us out of Newark via the ring road and A46, east across the A52 to Grantham then back up the A1. As ever, to start with we drive in the manner of the lowest common denominator, pointing the thing in vaguely the right direction and planting our right foot. Nothing very interesting happens. The 13-litre engine simply pulls away and drives. No over-revving, no loss of traction as we pull out onto the first roundabout despite being empty with a shallow-pinned trailer, no snatching of the brakes, nothing. We do pull up a little sharply to start with, but that’s because we knock the exhaust brake on instead of indicating right. Suffice to say it works very well, even at low revs. One thing we can’t help noticing is that the cab appears to be leaning forward. It takes a while to put our finger on what feels unusual, but once we think we’ve worked it out we confirm our observation with Barnes, who immediately knows what’s happening. 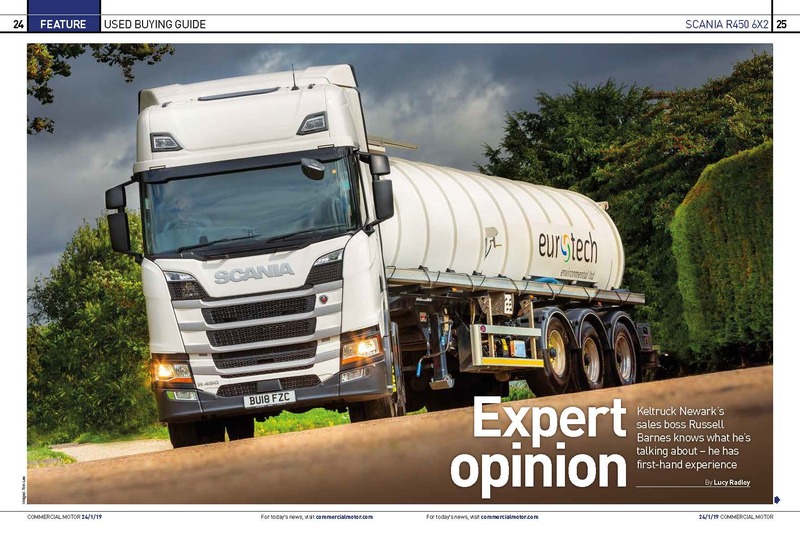 We have the mid-lift up, and because there’s no real weight over the fifth wheel the lift in the suspension needed to avoid it knocking on the floor on speed-bumps is more obvious than we’re used to – we normally pull fully freighted test trailers. Making a little more effort to work with the technology, we play with the revs and find this latest incarnation of Opticruise far more amenable to subtle instruction through the throttle than previous models, although – as Barnes reminds us – this is a “learning” gearbox that adapts to how it is driven. He always resets these when they come into his stock, where other dealers might not. We flick between Eco, Standard and Power profiles, but without any weight behind us it’s hard to tell the difference – the ECU isn’t chucking around unnecessary power regardless of how hard we try to make it, which is probably why the fuel returns are so good on these trucks. We do find it a little hard to see the green band on the rev counter, replaced as it is by a far less visually intrusive and muted set of lights, but we’re told we can reset it to a more traditional view should we prefer – probably unnecessary given time to get used to the unfamiliar view. Those specifics aside, our overriding impression is one of complete effortlessness. Empty artics so often feel a bit unstable, but there is none of that with this tractor, which feels sure-footed throughout the drive. The ride is as smooth as the interior fascia, and the 450hp available under firm control no matter how many tricks we try to play on it. By the end of our short trip we are confirmed new generation Scania fans, and happily declare any driver who moans about being given one of these to be in need of being forced to drive a 1978 Foden for a while. Buy it from Keltruck at Newark, and not only will you effectively get a new vehicle without having to wait for months, you’ll get to meet a very nice bloke along the way. 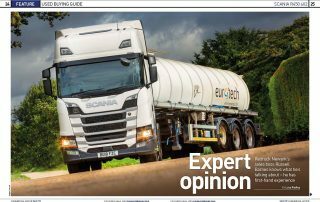 Keltruck has been in business for 35 years and is now Britain’s biggest independent Scania dealer. It has 19 sites across the East and West Midlands and south Wales, 17 of them dealer points. Used vehicles are sold from three sites – Newark, Cross Hands in Wales, and the head office at West Bromwich – although enquiries can be dealt with at any location. It was founded in 1983 by Chris Kelly, who remains the company’s largest individual shareholder, while his son, Chris D Kelly, is chairman. The Newark depot became part of Keltruck when it acquired East Midland Commercials in 2004, and has recently undergone an extensive upgrade and refurbishment to provide new offices and customer facilities, including the reintroduction of dedicated used sales. 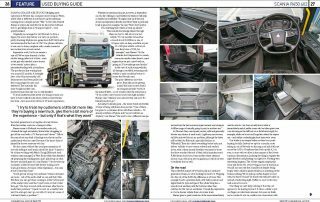 Scania’s new generation R- and S-series tractors have not been on the road long enough to know how they’ll age, so it will be interesting to see how this section of the used buying guide looks when we revisit the vehicle in future years. For now, however, there are still things to be aware of, but most are teething troubles, which will hopefully no longer need consideration as the model beds in and develops. Instances of windscreens having cracked, suspected to have been caused by cab flex. Stereo failures, probably due to the heater ducting being behind the units concerned. Fridges sometimes cease functioning without warning or obvious cause. Multiple reports of mountings and suspension at the rear of the cab coming loose. Reports of front leaf springs snapping on two out of three of one operator’s new generation trucks. There have been some examples of air dryers having failed. Lay shaft oil seal failures reported at the front of the gearbox, resulting in large leaks, sometimes to the point where the clutch needs replacing after that has filled with oil as well. Continuous slow air leaks appearing on various valves. If a headlight is cracked, the complete unit must be bought, rather than just the glass. 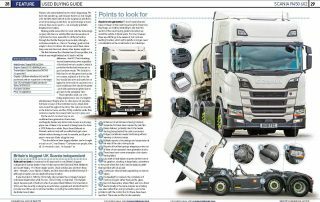 Second steer-axles, where fitted, are now driven electronically in the same manner as a trailing rear-steer rather than using hydraulics, and some problems with the control box for these have been reported. These are rectified under warranty.